Bring everything you need for the job in one trip. 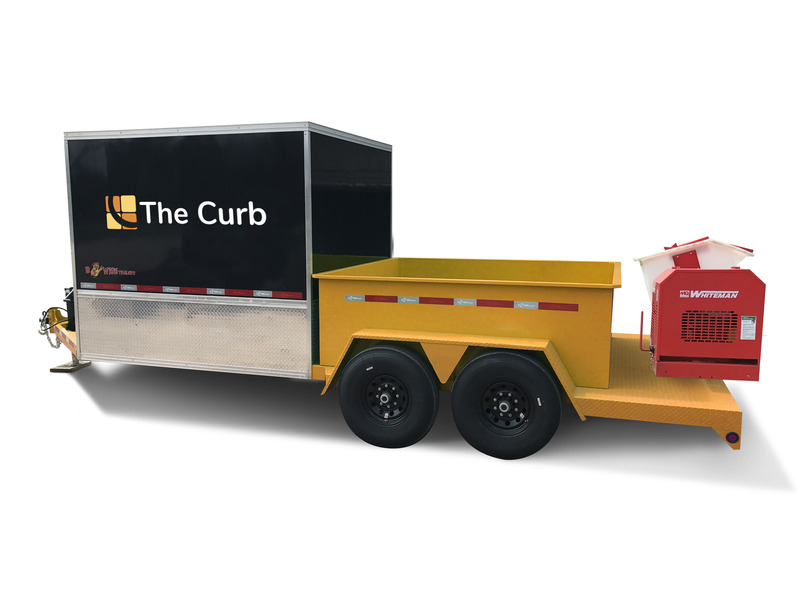 The curbing trailer has all the space you need to run your curbing business. Need a custom size? No worries. Contact us to discuss. Prices may change to match current metal prices. Lower deck height. Pull-out ramp. Get your heavy equipment loaded and unloaded with less strain and work with our low deck height and pull-out ramp. 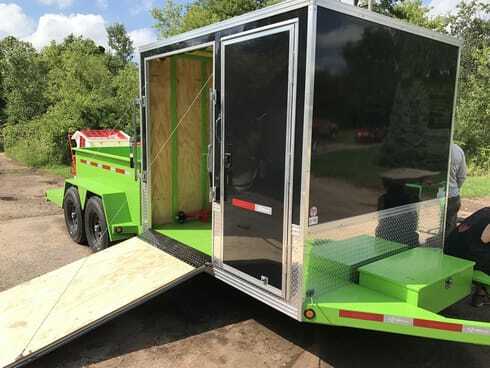 Easily push and pull your machines onto or off of your trailer, conserving time and energy for more jobs and protecting your team and equipment from a potential fall. Our trailer protects your valuable equipment with weatherproof door seals and tight locks. Keep your machines and equipment running smoothly for easier jobs and less money spent on parts and maintenance, no matter what mother nature throws at you. Have your mixer when you need it. Easily bring your mixer to every job with our trailer’s mounting system. We can mount your mixer to your trailer for you, so you’ll always be prepared and not have to worry about forgetting it for a job. You’ll always have your mixer when you have your trailer. We believe in supporting American manufacturing, so our trailers are built here in the United States. They also include a 5-year warranty, so you can be sure of the American craftsmanship put into your trailer. All work is done by top-certified welders and builders. 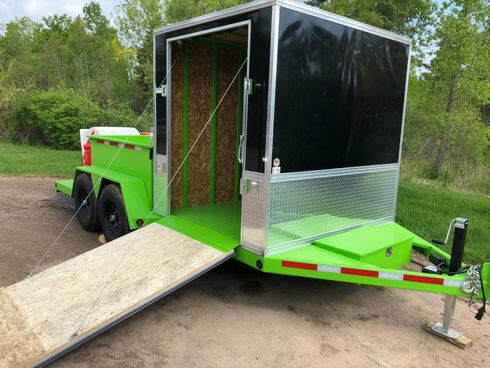 Match your trailer’s color with your branding for absolutely free. The black side is smooth and ready for the application of your logo for easy advertising as you drive to and from the jobs. Ready to Order Your New Curbing Trailer? Request More Info. Give us a call at (920) 740-2218 or simply fill out the form below to learn more about ordering your own Landscape Curbing Trailer.